The Shavers Soap Stack is a set of masculine smelling soaps that is an ideal ‘Gift For Him’, that special man in your life. 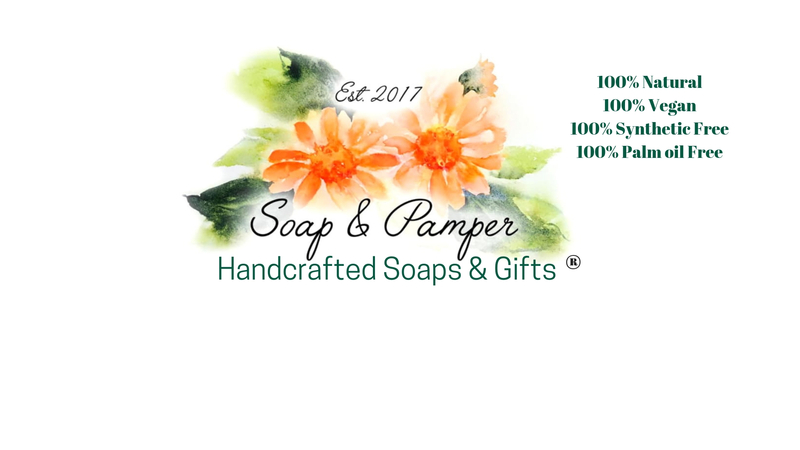 The soaps are made with natural ingredients with no chemicals to irritate the skin. The ingredients include Coconut oil and Castor oil which create a rich bubbly lather to help the razor glide across the skin, and Shea Butter and Cocoa Butter to moisturise the skin. As the soaps are free from animal products they are also a perfect vegan gift. The stack includes one bar of Ti Tree & Peppermint, Sandalwood & Patchouli and a Cedarwood, Bergamot and Vetivert soap. The essential oils in these soaps are considered to be highly antiseptic and mildly astringent so perfect for that close shave. A beautiful Gift For Dad, partner, brother or son. This stack is tied together with string all ready for giving! Essential oils : Ti Tree (Melaleuca Alternifolia) & Peppermint (Mentha Piperata) Nettle Powder (Urtica Dioica) Limonene*. Unless otherwise stated, all of my soaps have a minimum weight of 65g For external use only. If irritation occurs, please discontinue use.